The bubble tea craze is real with this one! Bubble tea has since been a craze that we Malaysians just can’t get enough of! From new vendors blooming up like mushrooms, we just have to try all of them! But, let’ talk about one of the real OG’s. They have made a name for themselves here in Malaysia with over 200 outlets blooming every corner we see. Let’s admit it, if a mall doesn’t serve Tealive, is it really a mall? No shade no tea (No pun intended). Well, as a celebration our favourite bubble tea brand has invited all of us (yes, that means YOU too!) to their massive party celebration! It’s titled The Breakthrough Moments and it will be held from 13th to 17th of March at Mid Valley, Centre Court. Here a little gist of what you can expect! It’s not a party without drinks! You’ll be able to taste some of their exclusive flavours like the Aussie Tim Tam Shake, and Durian MilkShake! Oh! By the way, they’re all limited edition! Are they all not Instagram-able enough? Tealive has probably thought about that. 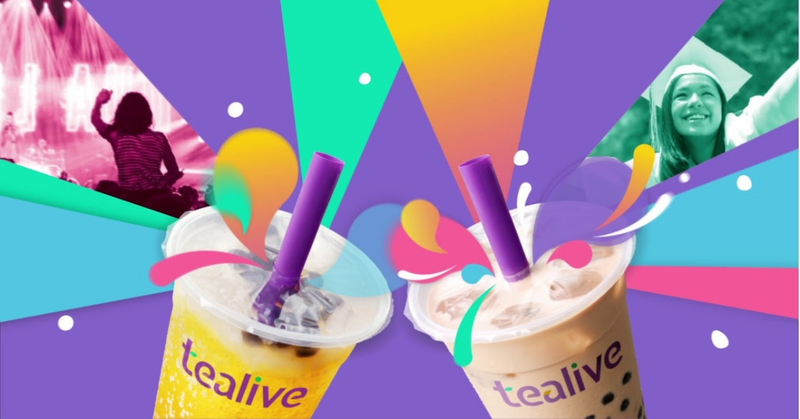 So, they’re allowing you to get behind a Tealive counter and put on a very own Tealive apron to add your signature touch to your own Signature Pearl Milk Tea! Are you already dancing with joy? Because you won’t be the only one dancing at the event! There will be dancers battling it out in front of a panel of judges! There are a ton more activities to do at the event so don’t think twice just think of bubble tea! See you there!